We are thrilled to share with you Testimonials from happy Brides, Grooms and family members alike. We are honored our clients have taken the time to share their personal thoughts so eloquently. We hope we can add your name to the list of our satisfied clients by letting us design and create your special event in the Florida Keys. If I could give Lynn more stars I would of how amazing she is. My husband and I were one of the couples that had their original wedding venue destroyed by hurricane Irma. When this happened, I thought “this is it, we should cancel the wedding”. However, my mother in law decided to call Lynn and see what she can do for us. Wow! This was the best decision I made for my whole wedding. She helped us find an amazing new venue within our budget. The florist she recommended exceeded my expectations. When it came to the theme for my wedding I gave her my ideas. She was great at recommending do's and don’ts and in the end, she made all thoughts become a dream come true. I cried when I saw the finished work at the reception. Never in a million years could have I imagined everything would look as beautiful as everything did. She professional, detailed, organized and just overall a fantastic person to work with. Lynn is no doubt a must-hire wedding planner and/or day of. Hiring Lynn as our coordinator was absolutely one of the best decisions we made when planning our wedding. From top to bottom Lynn was absolutely fantastic. She was with us every step of the way and was never unavailable for any of our needs. She did everything! She was a liaison for us and our wedding venue, she was a human warehouse as she accepted deliveries to her that were related to the wedding, she was a soundboard for us when we needed to discuss anything at all, she was a bull on the day of the wedding and would not accept anything less than perfection. It was a special blessing to be able to spend precious time with our families before our ceremony and know that Lynn had everything under control and making sure every detail was in place. She helped us with every stage of the wedding even added thoughtful extra touches that coordinated with our theme and color scheme. We were so glad to have her there by our side to guide us through our ceremony and reception when we were in a happy fog; we wouldn’t have known what to do without her there. 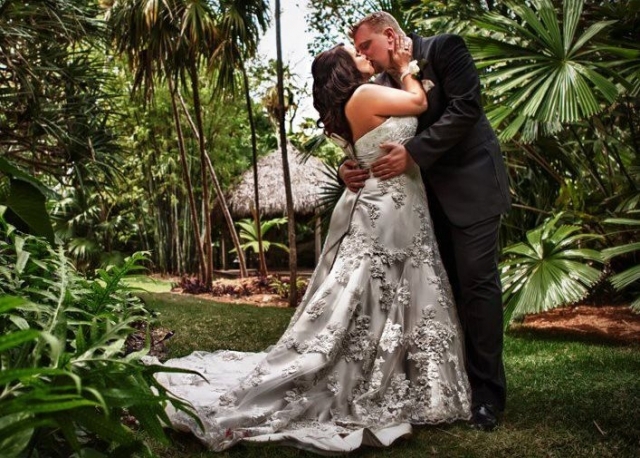 Lynn’s passion for weddings combined with her organization, attention to detail, and creative palate make her worth far more than the rates she charges. 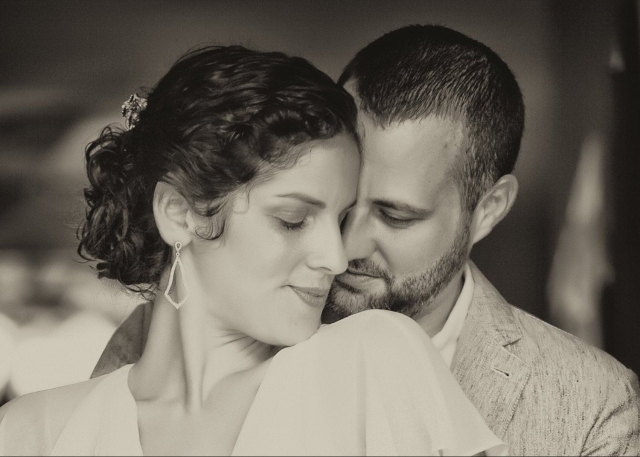 We would highly recommend her to any couple planning their wedding; with Lynn’s help, our wedding was the smoothly-run success we dreamt it could be and dubbed "The best wedding ever"! Our wedding was the most gorgeous perfect day of our lives. Lynn is so detailed and passionate about what she does. She made us feel very comfortable and sure of the wedding planning process. There were times when something needed to be done or fixed and she was right there to help and support our perfect day. She made everything run so smoothly and truly understood the vision we had of our special day. We can’t thank her enough for her hard work and second to none service. During the wedding we became friends and I feel now that she is part of the family. 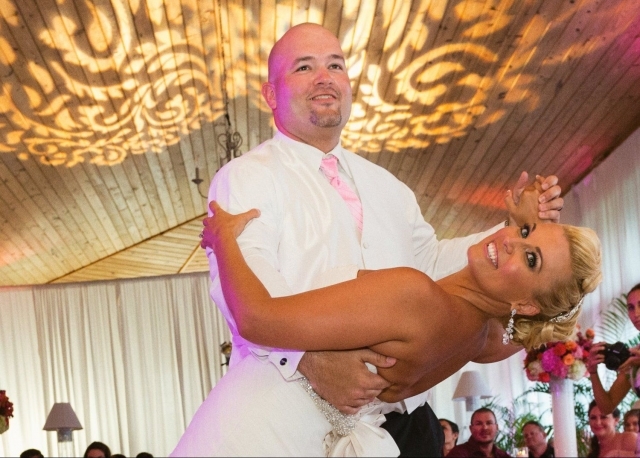 If you want a fabulously elegant, over the top wedding I strongly recommend D’Asigner Events!." 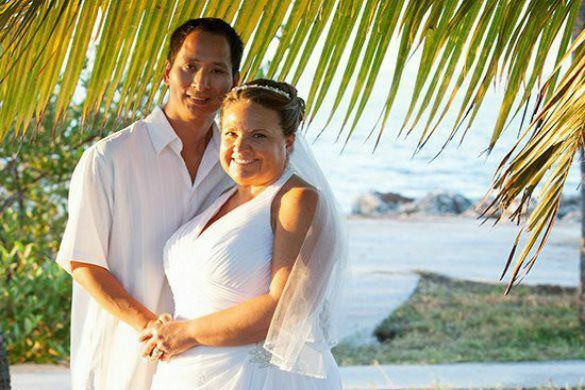 Hire Lynn and your wedding will be a (warm tropical) breeze! Lynn was absolutely amazing to work with! She made our wedding experience fun, easy, pleasurable, and most of all - stress free, and it happened with out a hitch!! She had wonderful vendors, creative ideas and several packages to choose from based on your budget. 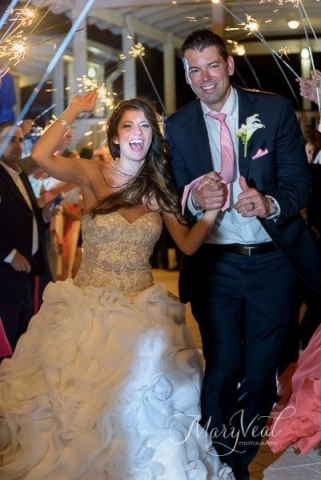 My husband and I recommend the full package to make your event easy, customized and seamless! We live in Ft. Lauderdale and had our wedding 2 hours away. We didn't know local vendors, and Lynn's recomendations were all very professional. We recommend her for ANY event - small or large!" Lynn: Perfection is a hard concept to achieve and I would consider myself hard to please. You amazed me. Every detail was exactly as you described. There were no surprises. I felt completely at ease because I know you had everything under control. Thank you for taking my bits and pieces of a vision and making it in to a perfect event." Every Bride Needs a Lynn! Lynn of D'Asigner events was wonderful! I could not have pulled off my wedding with out her help and support. Having a destination wedding is super fun but also hard to plan if you can't travel back and forth repeatedly to your location. We were only able to visit our venue once but as soon as I hired Lynn she had all her best vendors booked for me within a week. She always had time to talk or email with me and as the wedding came closer and my stress level grew she made sure we spoke more often and had all the details taken care of. She is also very creative and came up with ideas that I would have never thought of. My wedding day was basically stress free because Lynn was there to take care of everything so i could relax and enjoy myself. Thanks Lynn!! Lynn is absolutely top notch! We were planning our wedding states away from the location and she made our planning stress free and seamless! She knows all the best vendors and she is super accommodating. Her response time is impeccable. She calls, emails, and even text messages the same day of contact! I could not have asked for a better wedding planner. The day of the event she was fantastic as well! I did not have to do ANYTHING except feel like a princess and enjoy my day, she took care of absolutely EVERYTHING! Details are crucial to her which was important to me as well! When we walked into our reception venue I cried, everything I had described to her and envisioned she made come to life! The entire night she was there for every little need. I remember thinking something in my head and she was already there asking if I needed anything, it was seriously wonderful! I would recommend Lynn and D'Asigner Events 10 times over for wedding planning and day of services. I literally could not have asked for more and I am confident I could have never pulled off our AMAZING wedding if it were not for her and her staff!!! Better than I had ever Planned! Lynn was great to work with! I called her for help with planning my wedding, even though I lived in Marathon where the wedding was held. She has a great list of recommended vendors, and happily set up ALL of my appointments with each one selected for the big day. She really listened to what I wanted, and then offered some great suggestions to make our day even more memorable. Our wedding turned out better than I had ever planned! People are still telling me how much fun and how beautiful our wedding was. I highly recommend Lynn! Breathtaking!! That is the first word that comes to mind when I think about my wedding day. Lynn at D'Asigner Events took my dreams, wants, and even personality and transformed them into an amazing day full of glamour and style. From the first time I spoke with Lynn, she kept every detail so organized and kept me up to date on everything. Being so far away from our destination wedding was scary at first but after talking with Lynn, she calmed all of my fears. One of my favorite benefits of having Lynn was that she would bring to me two or three vendors for each option (flowers, DJ, band, etc.) with full details and prices on what they would be able to offer. As a control freak that I am, this gave me the mindset that I was still in control of all options and ideas but had her experience with each vendor to guide me. Lynn was able to help me out with everything from flowers, to hotels, to rental houses for me and my family. She even offered help to my MIL with the rehearsal dinner at their Key Colony Beach house. Since our wedding was held outside at my in-laws house, there were many vendors involved in setting it up just the way we wanted it. Lynn and her assistant worked so quickly and kept everything running smoothly all day long. Lynn coordinated all the time frames for the vendors and even had a timeline for the wedding party so there was no confusion. I had so much peace and was so calm on my wedding day because I knew she had all details taken care of. Lynn handled everything for me so I was unaware of any possible delays or problems there could have been for the whole weekend. What a lifesaver she was!!! We held a cocktail reception just before our main reception outside of the Key Colony Inn that was so much fun and beautiful. It was there that everyone was able to wind down and relax with the steel drum band and delicious food and wine from the restaurant. Lynn took me and my husband to the side for us to experience the transformation of the room for our reception by ourselves before she opened the room to our guests. AMAZING!!!!! When we walked into the room and uncovered our eyes, we were completely blown away. She had taken an ordinary room and completely transformed it into a unbelievable, magnificent ballroom complete with floor to ceiling drapery, table linens, lights, and special effects to create our one of a kind dream. Throughout the wedding weekend and still now, I have received so many comments about how stunningly beautiful my wedding was. I look back over the photos and I can't even believe how truly wonderful our wedding was all because of Lynn's knowledge, expertise, professionalism, and hard work. Lynn D'Ascanio was fantastic to work with! I found her on a recommended list of wedding planners. I knew I wanted to work with Lynn from the first time I talked to her because she was very organized and very upfront about what to expect. Once I booked Lynn, she began really trying to understand my vision for what I wanted my wedding to be like. I did not have to say much and gave her a few ideas and then she began giving me a ton of suggestions and recommendations to help my ideas come to life. 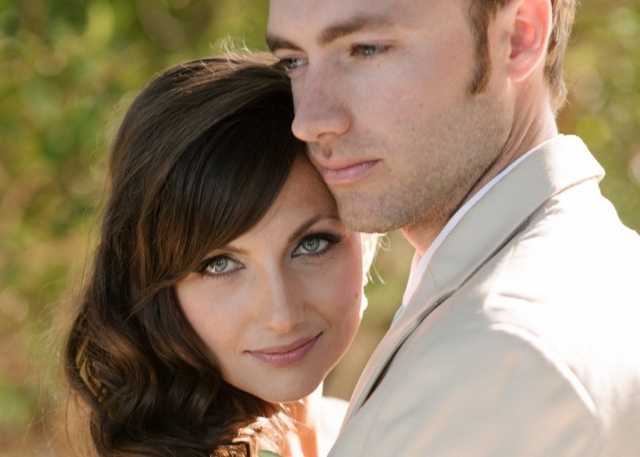 Once my wedding day rolled around I did not feel stressed or nervous because I knew Lynn had everything under control. She really gave me a sense of comfort on that day, which is how I think every bride should feel. After our ceremony we took some pictures and headed to our reception. Lynn revealed our reception area to us in private before the guests and we were absolutely blown away. She had gone above and beyond even what I had imagined. She really had it pulled together and even brought something out of her own home to add into a part of my decor! Lynn's professionalism and excellent relationships with wedding vendors really make her a top choice for a planner. I could not have been happier with my experience! Having a wedding so far from home can be difficult. 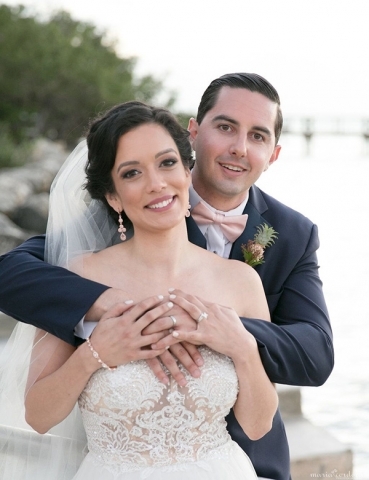 My husband and I are from Oklahoma and decided to have a destination wedding in Marathon, Florida, at San Pablo Catholic Church/Hawks Cay Resort. Since the wedding was in Sept., we decided the colors we wanted were plum, gray and yellow. One detail I let my husband, Jordan, pick was the date. Jordan is a John F. Kennedy fanatic. Therefore, the date Jordan chose - Sept. 12 - is the wedding anniversary of JFK and Jackie. With my location, date and colors picked out, I decided I needed major help! Jordan proposed to me on April 20. I decided I could not do all the planning in less than five months without a wedding planner, and I am so happy I found Lynn. 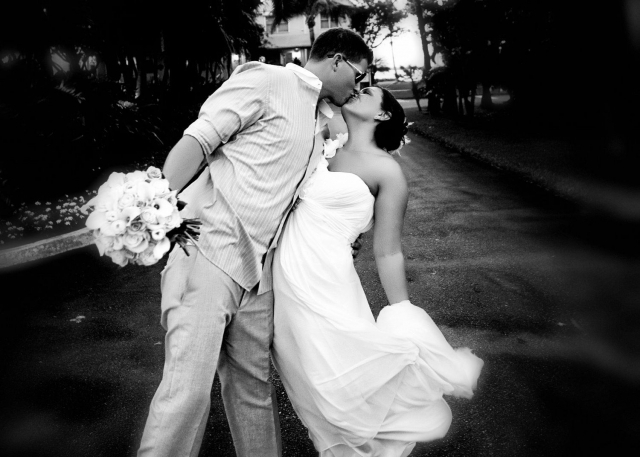 When I started looking for wedding planners in the Florida Keys, I came across D'Asigner Events website. Lynn's profile said she was from a "big, Italian family," and I knew right then that she was the woman for me! I am also Italian, so I thought Lynn would understand me and my family! Lynn and I were able to work together on every detail, and she brought my vision together. I could not have done all the planning and contacting vendors without her - Marathon/the Keys is a small community, and Lynn seemed to know everyone! She had inside connections with just about everyone you could think of - from florists to the fire department! She always had the best suggestions. One thing Lynn was able to pull off for our wedding was having an antique fire engine take our entire wedding party to and from the church. We wanted our wedding to be different than your normal "run of the mill" wedding, and she turned mine and Jordan's ideas into a realities. Lynn was able to make mine and Jordan's dream wedding come true, and we will forever be grateful for her help! Words can't even begin to describe what an amazing job D'Asigner Events did for our wedding. Not a day goes by where someone doesn't say how PERFECT everything was. It was a day my husband and I will never forget, and it went off without a hitch! Lynn specifically, worked for months to help us prepare for our big day. We had regularly scheduled phone calls and she never missed a beat. I always knew everything was taken care of. The smoothness of the event was fantastic and the decor blew everyone away. She helped with everything imaginable and the result was STUNNING. From the lights and draperies to the floral arrangements, the mixed linens and table sizes were all eye catching. She even helped us with our entertainment, AA Musicians - and from cocktail hour until 1 am - we danced! My husband played college and professional tennis and she even found the most creative, playful yet discrete ways to work it in! It was both beautiful and sentimental. Lynn has impeccable taste and unprecedented professionalism - I would recommend her to ANYONE. 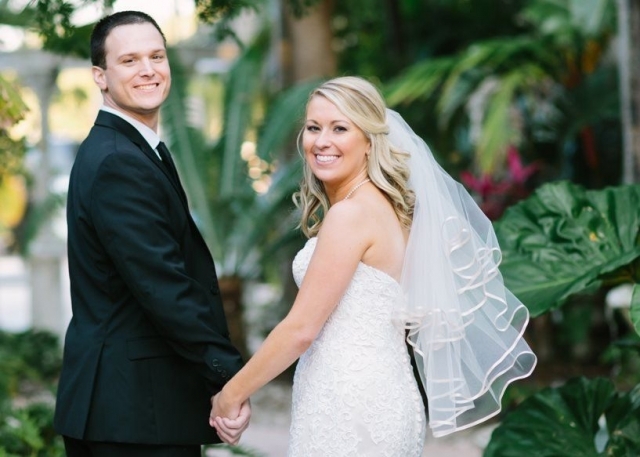 When my fiancé and I decided to do a destination wedding in the Florida Keys; we were given the advice of hiring a wedding planner from friends who have had destination weddings before. Let me tell you this is the best advice anyone could have given us. 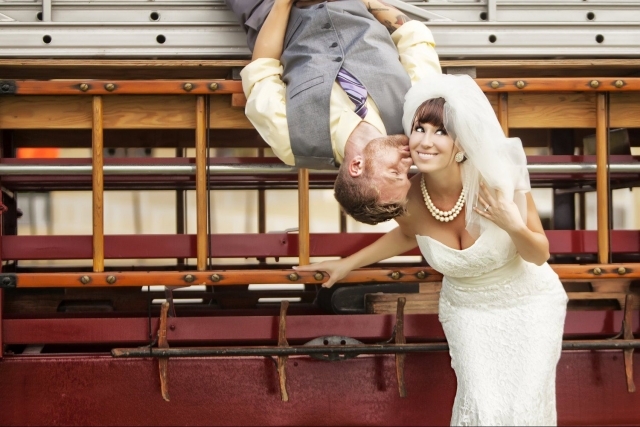 We booked our wedding in June 2014 and had only 11 months to plan for our April 2015 wedding. During the planning process, Lynn was nothing short of amazing. We had monthly phone meetings with her to discuss our ideas and goals for our dream wedding. Lynn was able to work with our budget and offer her suggestions - after all, she is also an interior designer and has a "vision" for these things. Lynn was always available, whether by phone or email, and would respond to emails quickly. Lynn is local to Marathon and was able to push us in the right direction as far as the best vendors (DJ, flowers, etc) in the area; she even referred me to one of her friends, who came to my room to steam my wedding dress, bridesmaid dresses, and tuxes. We essentially told Lynn what we wanted with our wedding and she made it come to life. She was extremely easy to work with and was essentially our partner in planning. We received a detailed itinerary (minute by minute) days before of how the wedding day would run, which was great. The day of the wedding: everything flowed perfectly. 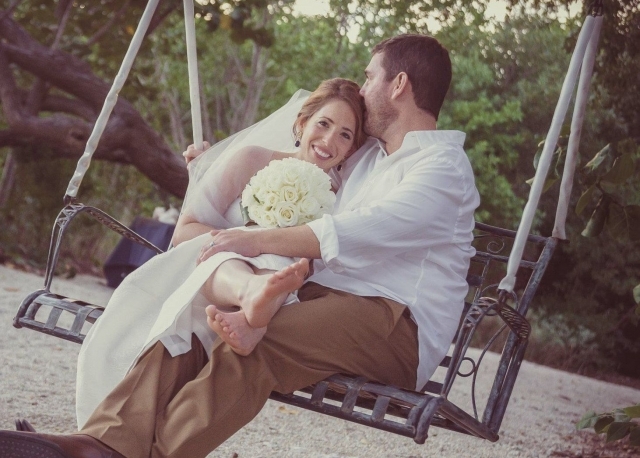 We literally had no stress in the days leading up to our wedding and even on the actual wedding day – she made it relaxing and enjoyable. In summary, I wouldn't hesitate to recommend Lynn to anyone! She made our beachy/island/romantic themed wedding perfect!! She was very professional, yet personable. She cared about making our day special and perfect. She made our dream wedding come true. Thank you Lynn! Best wedding planner ever! Lynn not only had spectacular ideas for our dream wedding, but she delivered on them. Every aspect of our wedding was organized and executed flawlessly, from our linens to our timeline. We can't thank you enough for all of your help, hard work, and creativity in making our big day absolutely perfect!!! My husband and I cannot thank Lynn and D’Asigner events enough for our fairytale dream come true wedding weekend!! 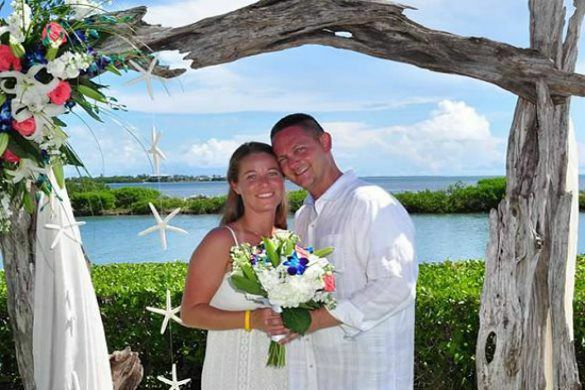 We had so many factors to our Destination wedding at Southern Diversion in Marathon FL and she dealt with everything we threw at her. Our original meeting we told her red and gold Asian themed welcome/grooms dinner with dancing lions and pink and bling wedding day. We were totally blown away when we sat down with her and she showed us her vision and she was spot on with ours! Right then we knew we were in great hands. Our wedding was quite the production to say the least. She coordinated a surprise party for the bride, Thursday night, the wedding rehearsal and the grooms/welcome dinner Friday night, and the wedding ceremony and reception on Saturday. We had vendors that had to stay overnight for both nights, 13 surprise vendors that were being flown in from our home state to do the officiating, hair, makeup, limo drivers, and DJ services. She arranged catering for our guests for 5 days, put together our welcome bags and itinerary. She also handled all our rentals such as boats, jet skis and a golf cart. The bigger our wedding got and the closer the date got we put more on her and she handled it all!!! And to top it off she did it all in about 4 months!!! Our vendors that we used in Florida, that she recommended to us, were absolutely amazing! We loved everyone!! If she didn’t find something she had it built! Our wedding aisle and beautiful crystal bead backdrop she had made for us and it was breathtaking! Lynn is very organized and very detail oriented. She listened to all our requests and needs . She sent us pictures of things so we could help decide on what we wanted for some of our rentals. We flew down and met with her a couple times and we also had conference calls with her and vendors so everyone was on the same page. She set up cake testing, food testing, meetings with our florist and directed us to great vendors to use for our welcome bags. The lighting guy she found for our 2 nights was out of this world! We had 3d images projected on the ceiling and floor of the tent and also accommodated our request to have some of our own photos projected onto the ceiling. Lynn and her team gave everyone at and involved in our wedding an experience that they will never ever forget!! I have tears of joy often as I relive and review pictures and videos of our beautiful weekend. 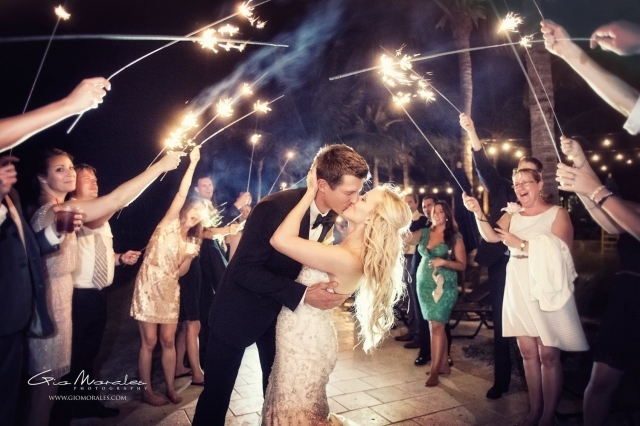 Our guests still talk about how amazing our wedding was and how it was an experience of a lifetime! Thank you soooo much!!! 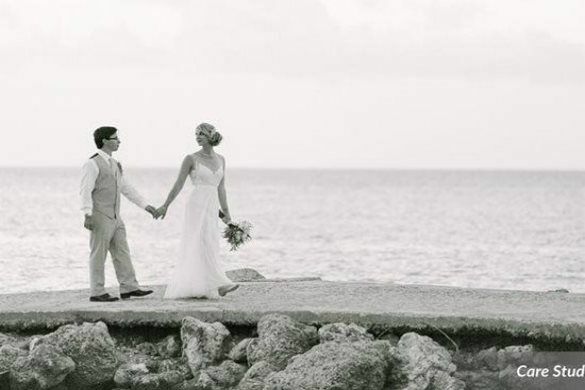 D’Asigner Events and Lynn D’Ascanio helped us plan the perfect wedding in 5 months. We had an initial phone call to discuss ideas and then an in-depth meeting to hash out all the details, many of which we hadn’t even thought of. Then the magic began! Lynn dove in head first and went to work. She made invaluable suggestions that only someone with her experience would know to make. Every time Lynn said, “Trust me,” we wholeheartedly did, and she was always right! As our wedding weekend approached, we didn’t have to worry about a thing. 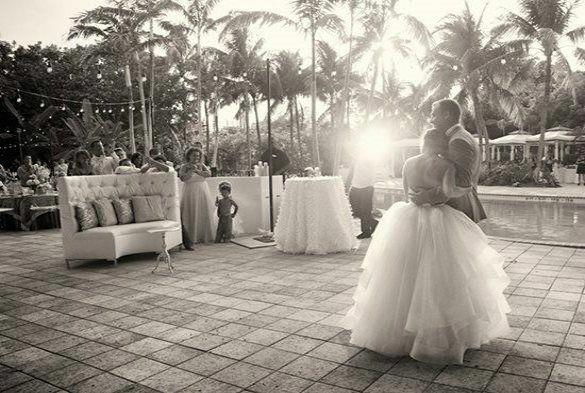 That comfort allowed us to relax and enjoy quality stress-free time with our family and friends who came to stay with us at Hawks Cay days before the wedding. Our confidence in Lynn helped make so many potentially nerve-wracking times just the opposite… including the last minute change in reception site, and the potential early morning rain shower that threatened our waterfront ceremony. There are no words to describe how beautiful our wedding day was. 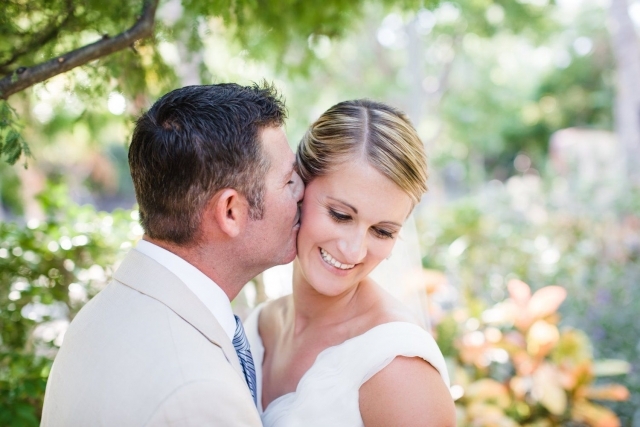 Lynn puts thought and love into everything she does, and it was evident throughout the entire wedding. We were blown away when we saw the reception room for the first time. Our wedding day was nothing short of perfect and it wouldn’t have been possible without Lynn and her team at D’Asigner Events. Lynn - “Thank you” doesn’t even begin to express our gratitude. We loved every minute working with you! You always made us feel like you had everything under control, and you always did. You took the few ideas we had and made them a beautiful reality, and we could not have been happier! All the hard work you put into making our day so special really showed. We loved every last detail. You truly made the wedding of our dreams come to life and we will be forever grateful. Lynn was absolutely wonderful to work with!!! 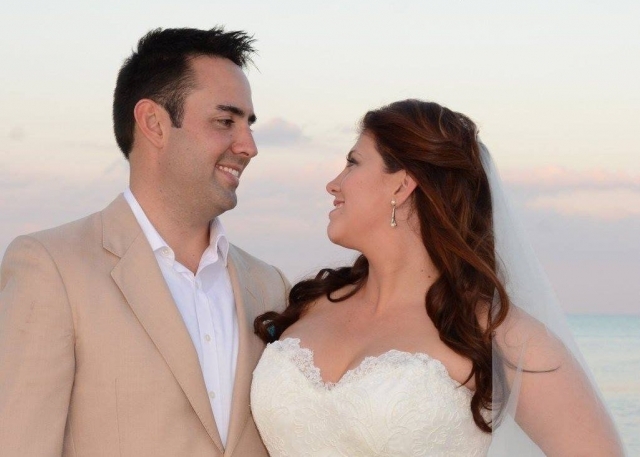 My now husband and I had our wedding in Hawks Cay Resort in the Keys this past May. And we are so happy we chose Lynn to be our wedding planner, I don’t think we could have ever asked for anyone more professional and creative than her. We live in South Florida, but still a couple hours away from our location. Having Lynn organize and prepare everything for us was so wonderful. She was always able and willing to meet us or call us whenever I had any concerns. Making the whole planning process very enjoyable. She gave us a great list of options for venders, all of whom did a phenomenal job at our wedding. She listened to every concern and ideas I had and always assured me everything would turn out perfect (and it did!!!). I could not have pictured a more perfect wedding. Her design choices, from linens, layout, lighting, to table arrangements were pristine to every detail! All of her décor decisions completely embodied my visions for the wedding. She also made sure every event followed the timeline, so we could enjoy every second of our day. Lynn has impeccable taste, is reliable, and organized. I would recommend her to anyone planning a Keys wedding, or any kind of wedding! She is absolutely great!